It is during the transitional and emotional period that children most of all need the comfort of their favorite toys. Moving to Florida with a family is a great example of such a stressful and difficult transition. When the fear of the unknown and the feeling of loss almost inevitably lead to strong anxiety and insecurity. To reverse the negative psychological effects that your move can have on your children, you need to assure them of your unconditional love and support, convince them of the wonderful new life that awaits you, encourage and inspire their adventurous spirit and promise them that they will not lose anything that currently makes them happy, including their cherished toys. 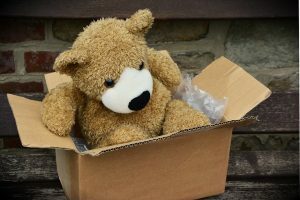 But do you know how to pack toys when moving, so they come safe and sound and ready to play? What packing strategies to use? Set clear limits. Let your children choose a set of toys that they will use over the next few weeks. And let them know that everything else goes into moving boxes until your arrival at your new home. By donating their toys, your children will feel they are doing something important. Sacrifice overgrown and rarely used toys. All toys that are still in good condition but are no longer played with can make the other child happy. The best thing you can do is give them to friends or neighbors or donate them to kindergartens, orphanages or other charitable organizations, such as Toys for Tots. How to pack toys when moving? When sorting the toys of your children, you must properly pack those that are worth moving to your new home. The best choice for packing toys is to hire one of the Miami long distance moving companies to do that for you. But, if you don’t want to hire them, we have some advice for you. You will need several moving boxes of medium size and several large boxes to pack toys for transportation. Make sure that you have enough wrapping paper and bubble wrap to ensure the safety of the toys during transportation, as well as quality packing tape to secure the boxes and permanent markers for proper labeling. Hermetic plastic bags are also useful for packing tiny pieces. Use packing tape to seal the boxes and do not forget to mark them with content and special handling instructions. Packing toys during the move is an important step in the process of moving, which can also be quite instructive and exciting! This gives you the opportunity not only to declutter before packing and teach your kids to take care of their things, but also to talk with them about their fears and hopes and reduce the inevitable anxiety.